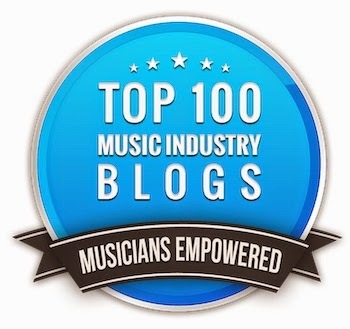 Bobby Owsinski's Big Picture Music Production Blog: Is Guitar Center Broke? 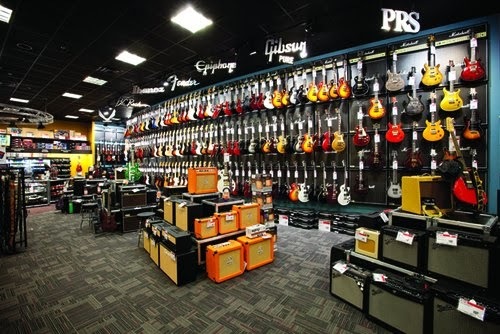 Is Guitar Center, the music store we all love to hate, going broke? It looks that way, according to a number of news stories in The Nation, Reuters, Huffington Post, and a wonderful post by Eric Garland. As many of you already know, GC was purchased by Bain Capital (formerly owned by Mitt Romney) six years ago, and it's been downhill ever since. GC has a number of problems, not all of its making. One is that it carries a huge amount of debt as a result of the Bain deal, currently owing over $1.18 billion (yes, that's with a b). That's a lot of interest it's paying on the debt service (just think of what you pay on your credit card every month), plus it seems to have a $953 million(!!) balloon payment coming up in 2017 that's really going to stretch the company's finances to its limits. Then there's the fact that the employees in some cities have tried to unionize, which has not only sent chills through company management, but has caused (along with other factors) the company's bonds to fall to junk status. GC tried to counter by giving its employees an extra $1.25 an hour, but that hardly seems enough to appease its poor abused workers. Then there's the fact that GC's earnings have been essentially flat despite the upturn in the economy. Much of that has to do with the fact that GC's biggest competitor is the Internet, with musicians purchasing from Amazon, Sweetwater or even GC's own Musician's Friend. Anyone who's tried to buy something at GC knows that the process can be long and painful regardless of the size of the order, compared to the quick and easy online experience. The big box store concept that we used to love so much has fallen on our collective disfavor lately, so we no longer look at GC as that mecca where we can see and try things not found in our local mom and pop store. Like in all parts of tech, when all things are equal, convenience always wins. With the relative commodity nature of music and audio gear these days (even with cheaper guitars and stringed instruments), we no longer have to try before we buy in many cases. We're winners when that happens, but Guitar Center may end up being the big loser. Gonna disagree with the idea that when we don't get to try before we buy we are winners. I think that's true about electronics. Bought all the gear in my studio sight-unseen. But guitars, well, you know yourself you can play 20 Strats or Gibby's and they'll all be slightly different. I took me ages to find the guitars I own because I played dozens of each before I found the rare jems that had just that right combo of colour/tone/neckshape. My axes are even, mosty, "wood-tone matched" in that they have wood that sounds a definative note that is matched neck-to-body. I think it's those little things that make the difference. With the death of the big music stores we won't get to do that and will be at the mercy of whatever we get shipped to us. But it's a sad but true reality of the retail world. My buddy is the GM at Toronto's largest music store, part of a 3 store chain. He says that by the time a new product hit his floor, it's already obsolete and that the internet has all but killed his guitar business, even though they have prices comparable or lower than online. The upside is that stores like this have amazing gear they can't give away even and you can snag it at fire-sale prices. But a part of me kinda, sadly, hates that a bit. I agree with the above comment about playing an instrument before you buy it. That's why I loved West LA music on Santa Monica Blvd. I bought my Martin, Gibson, and PRS guitars there. Great store, great service. But they were recently bought out by Guitar Center. Ugh. And, since Guitar Center seems to own almost all the online retailers except Sweetwater, it's pretty hard not to buy from them, so I don't feel sorry for the company. As Jeff mentions above, though, the impending demise of the ability to "play before you buy" is certainly sad. But, I can't help but feel like Guitar Center deserves it for pushing the local music stores out of business, or taking them over. Now, I buy my strings and whatever I can at a small local music store, and go to Sweetwater for other stuff (just got an interface and monitors from them.) I've had a great experience with Sweetwater, but when I want to buy another guitar someday...it'll be really hard to do online. I don't like anything about GC. The whole set up is so corporate that it rubs me wrong. I always feel bad for the employees. GC made anything it touched cheesy, and I don't think I could play an instrument bought there, without it feeling cheapened somehow. I realize a lot of sales are fueled by "rock star" fantasies, but GC turned it into a joke. I remember going to the back room at the Hollywood location, and hearing an employee on his last day talking to another about what a joke the "Vintage Room" was. The prices were outrageous, and it was really just a museum. A customer came in, and the guy turned on some exaggerated charm (knowing full well that NOBODY buys anything from that room). He considered himself more of a tour guide than a salesman. They put so many small stores out of business with their approach that I have no sympathy for them at all. Is The World Ready For A New Codec?